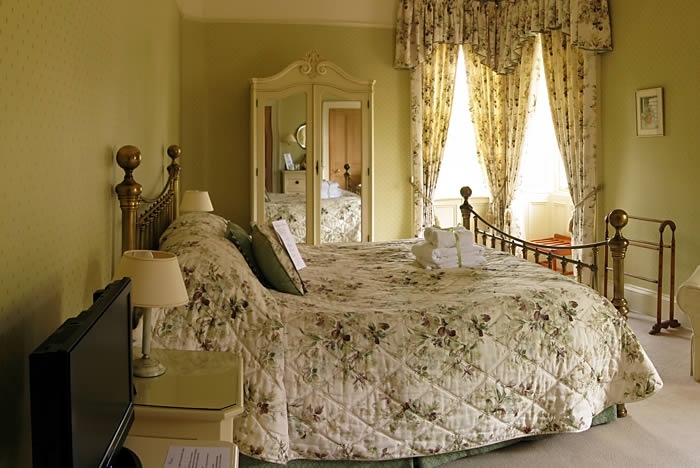 A boutique B&B with a large riverbank garden at the quiet west end of Callander Spacious elegant rooms with superkingsize beds providing a perfect haven to relax. Extra space, extra comfort, extra special and exclusively for adults. 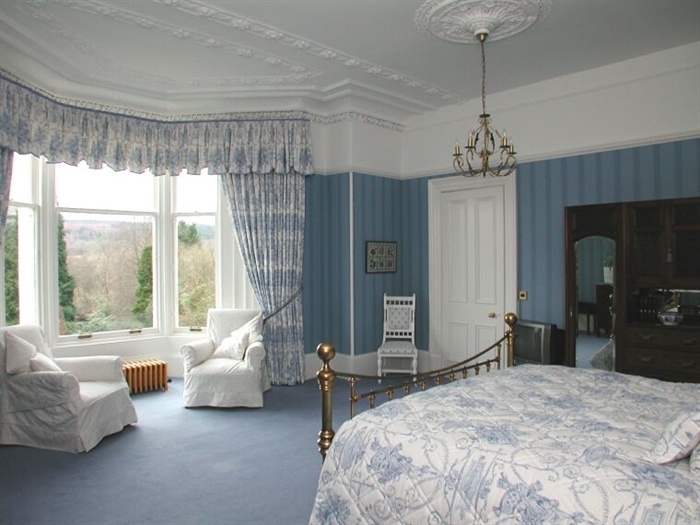 Westerton is a lovingly restored Victorian home at the quiet West end of the picturesque Trossachs town of Callander, The Gateway to the Highlands. 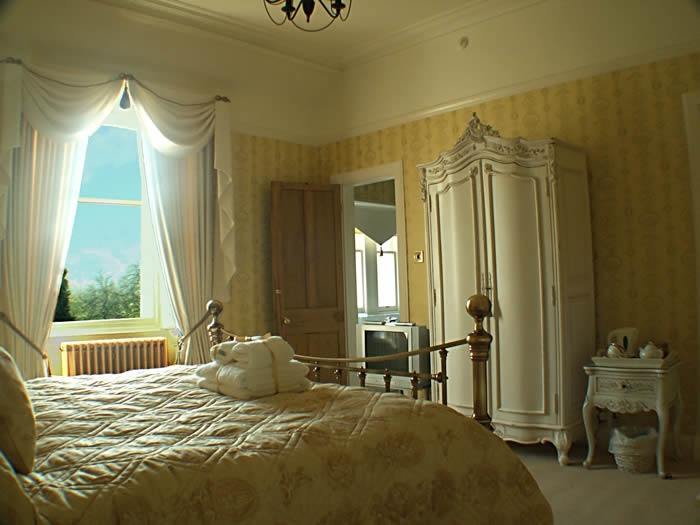 We are proud to be a Visit Scotland 4 Star Gold B&B and we are also members of Scotland’s Best B&Bs. 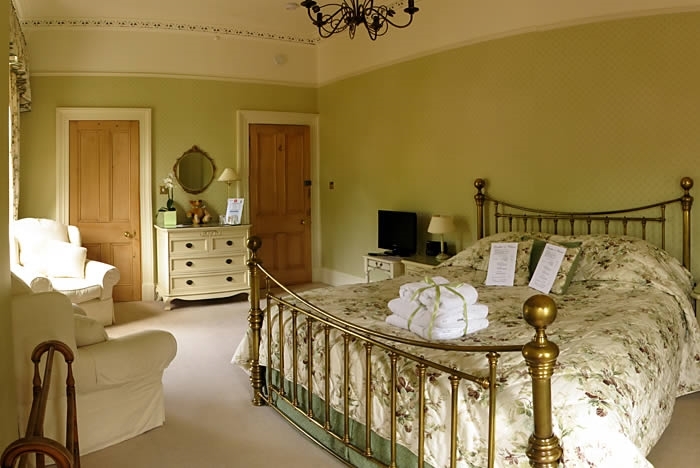 Westerton also features in the 2013 Michelin accommodation guide. 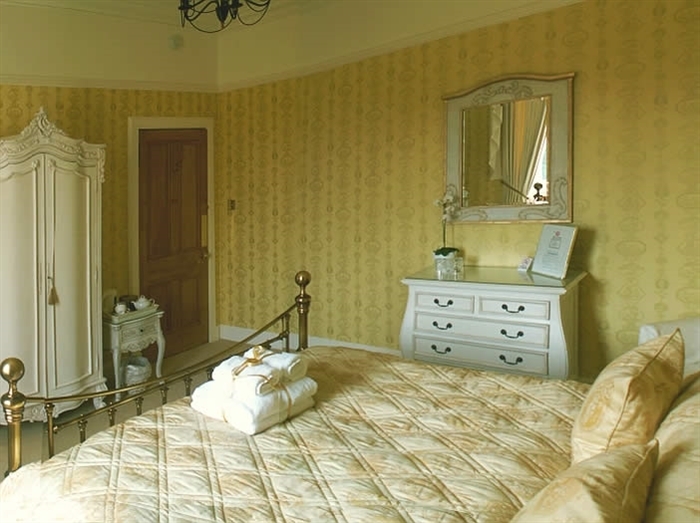 Our 3 spacious, individually styled bedrooms which retain many original architectural features all have ensuite facilities, 6 foot wide superkingsize beds, hospitality trays, complimentary Highland Aromatic toiletries and large fluffy towels. 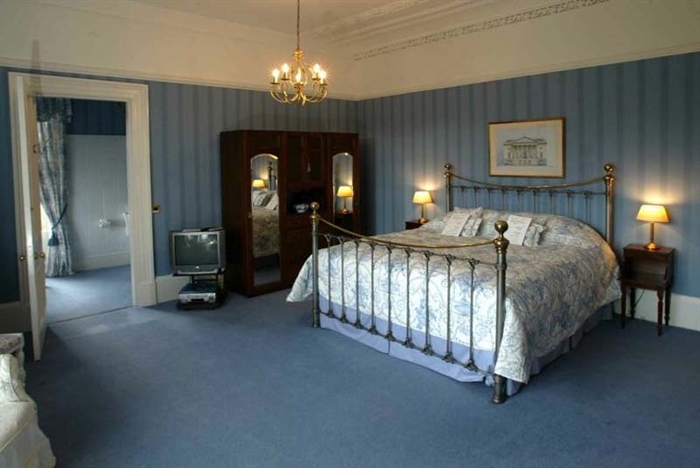 All rooms also feature Freeview flat screen TVs, DVD players, Ipod docking station radio alarms, and hairdryer. Free WiFi is also available in each bedroom and throughout the house. Our delicious traditional breakfasts are a great way to start the day and are cooked to order using local Scottish ingredients wherever possible and healthy and vegetarian options are always available. Breakfast is served in our large Morning Room. 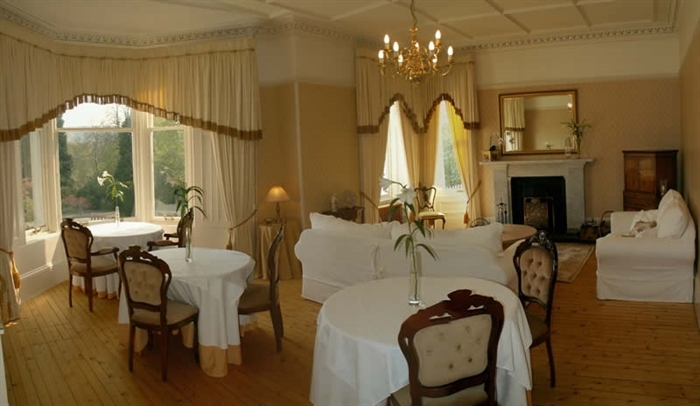 Guests are also welcome to relax on the comfy sofas in this room later in the day or on our large south facing elevated terrace overlooking our extensive riverside garden. We have tried to create an ambience of quiet calm at Westerton, and whilst we are fond of children and animals, we do not accommodate either. 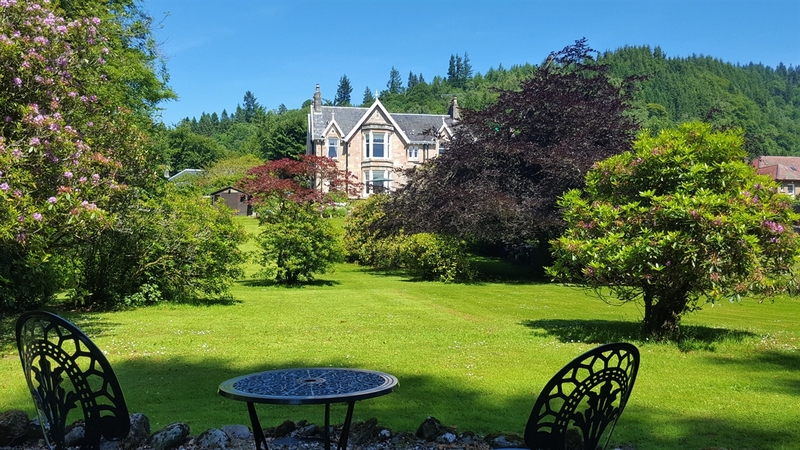 Callander is the perfect place to stay to access the Loch Lomond and Trossachs National Park area with the wealth of walking, cycling and touring opportunities on offer. Take a trip back in time on the SS Sir Walter Scott on Loch Katrine or experience the fabulous scenery of Loch Lomond on a boat trip from Inversnaid. Enjoy walking the Crags in Callander itself, or one of the many woodland or hill walks in the immediate area. 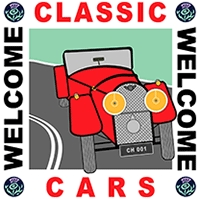 Westerton is also a fantastic base to stay for a few days and tour Scotland by car. Stirling, with its historic castle, is only 30 minutes drive, and Glasgow, Edinburgh and Perth can be reached in about an hour. Fort William, reached via Glencoe and its majestic scenery and Oban, a West Coast port are both within 2 hours drive. Inverness and Speyside are only 3 hours away so it’s possible to enjoy a large part of Scotland from the central touring base of Callander. 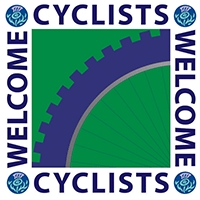 Our prices offer extremely good value for longer stays, so why not avoid the constant packing and unpacking of bags, and use Westerton as your touring base. A warm welcome awaits you at Westerton.